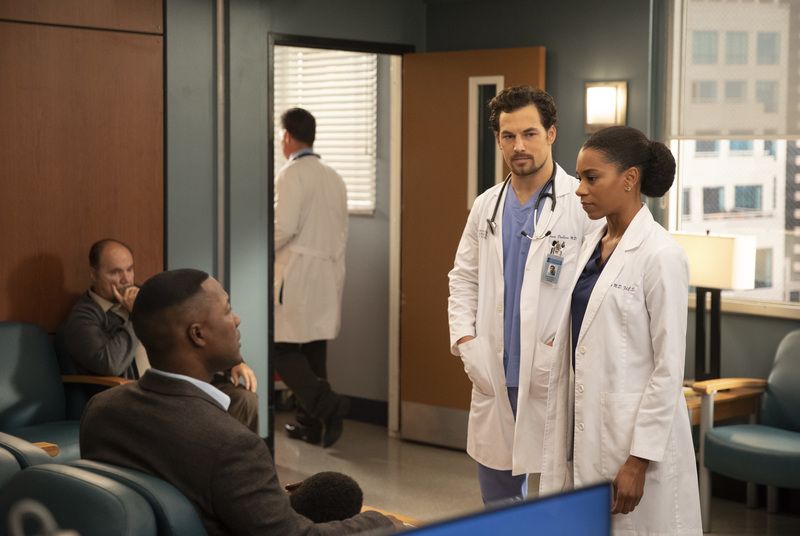 Preview images and guest star list for the Grey's Anatomy episode "Momma Knows Best"
Meredith turns heads when she shows up to work done up and ready for her blind date later that day, while Alex makes a questionable decision in order to save a patient. Meanwhile, the burden of knowing Teddy’s secret keeps Maggie up at night, ultimately making her decide she has to tell someone, on “Grey’s Anatomy,” THURSDAY, OCT. 11 (8:00-9:01 p.m. EDT), on The ABC Television Network, streaming and on demand. Grey’s Anatomy stars Ellen Pompeo as Meredith Grey, Justin Chambers as Alex Karev, Chandra Wilson as Miranda Bailey, James Pickens Jr. as Richard Webber, Kevin McKidd as Owen Hunt, Jesse Williams as Jackson Avery, Caterina Scorsone as Amelia Shepherd, Camilla Luddington as Jo Wilson, Kelly McCreary as Maggie Pierce, Kim Raver as Teddy Altman, and Giacomo Gianniotti as Andrew DeLuca. Guest starring in “Momma Knows Best” are Chris Carmack as Link, Stefania Spampinato as Carina DeLuca, Jake Borelli as Levi Schmitt, Sophia Ali as Dahlia Qadri, and Jaicy Elliot as Taryn Helm.